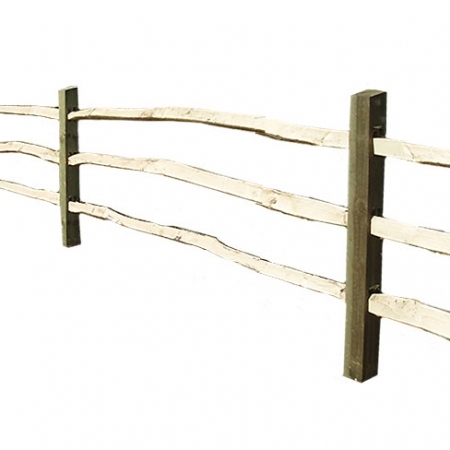 Traditional rustic countryside Post and Rail fencing created by Tate Fencing in kit form. 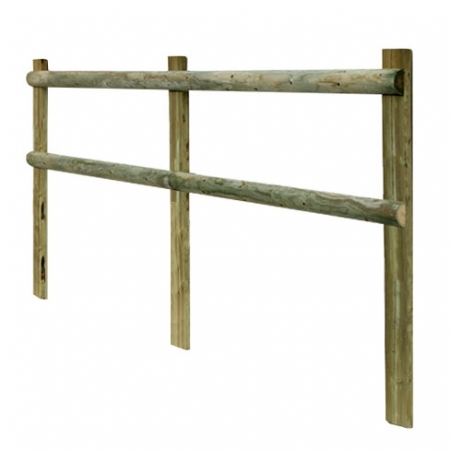 Available with chestnut posts and chestnut rails, softwood posts and chestnut rails, half round posts and rails, nailed post and rail and scarfed and mortised options. All softwood options are fully tanalised and treated on site at our Flimwell branch. 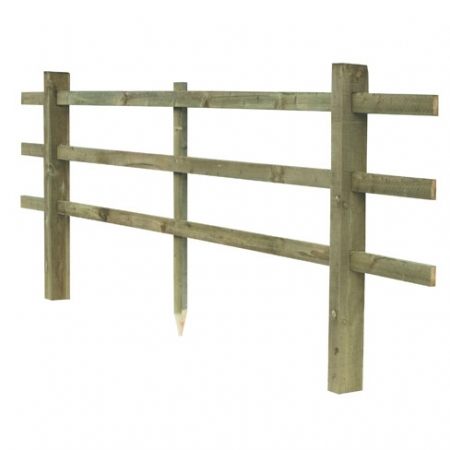 Post and rail fencing is a traditional style of fencing that is widely used by the rural communities of the English countryside. 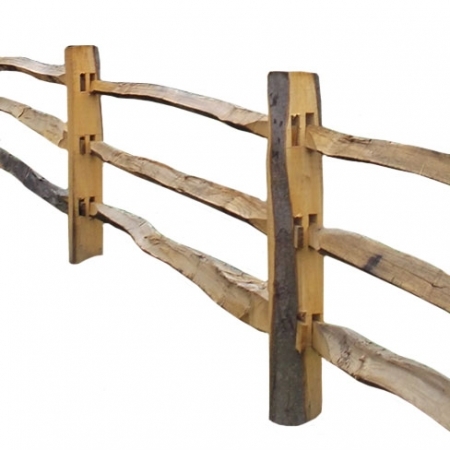 Although mainly used for paddocks and to restrict livestock, it would be an attractive addition to any garden as a rustic style boundary fence or to restrict pedestrian access. 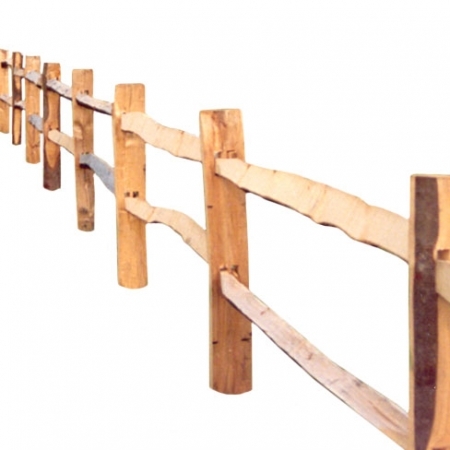 One of the most popular type of post and rail fence is the attractive rustic cleft Chestnut post and rail fencing. The posts and rails have being cleaved or split from sweet chestnut tree. 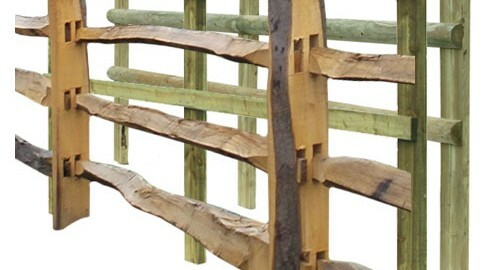 The scarfed ends of the cleft rails are slotted into the fence posts rather than nailed. 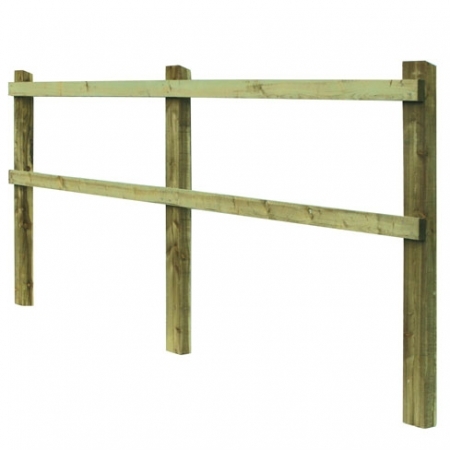 It can come in 2 rail or a 3 rail option and is available in 2.75m (9ft) bays or 1.83m (6ft bays). Also some times referred to as Sussex post and rail, as chestnut is traditionally grown in Sussex and Kent. 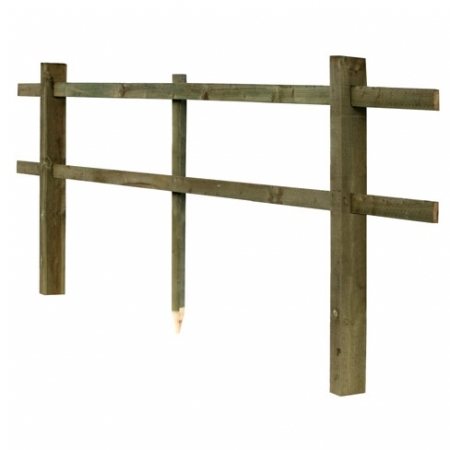 A modern variation on this post and rail fencing is the option to use square softwood tanalised which is made up of sawn timber giving cleaner edges and a more rectangular uniform look but still with the rustic cleft chestnut rails. 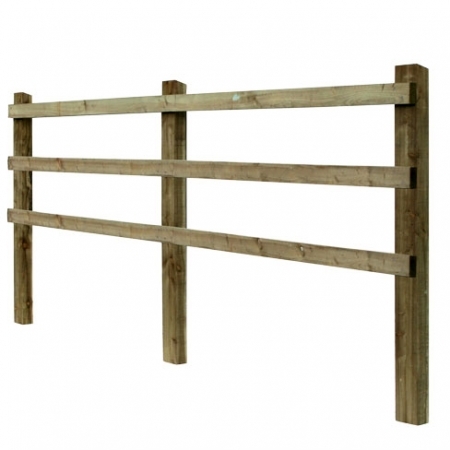 Half round and full round post and rail fencing is also a very attractive option, offering machined finished full round or half round rails and posts. 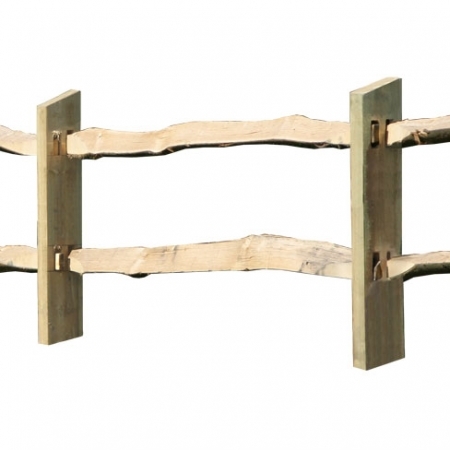 Although mostly attached by nailing the rails onto the front of the posts, both these variations can be constructed using the traditional scarfed rail and mortised post method. 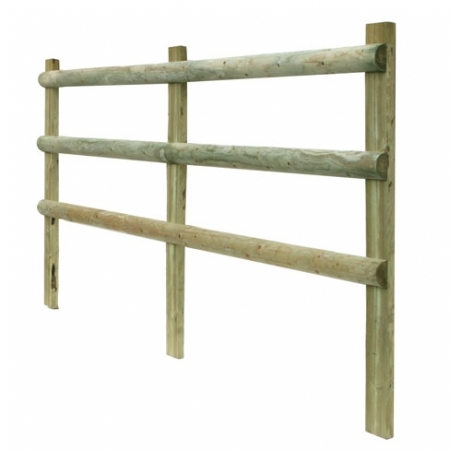 Posts are available pre-mortised for easy assembly.